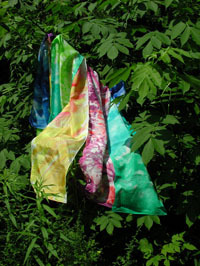 Welcome to Malem's silk scarves website! a very special and original gift for yourself or a loved one? 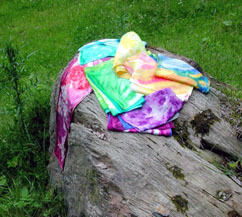 a custom made scarf created specifically for you? Are you interested in creating a peaceful, enlightning, inspirering, enjoyable atmoshere in your home? For years different cultures have recognized a healing power to colors. I invite you to enter the realm of colors and the joy and wellbeeing they bring!